The Masahiro Tenryu Katana features a razor sharp hand forged full tang carbon steel blade with Bo-Hi. 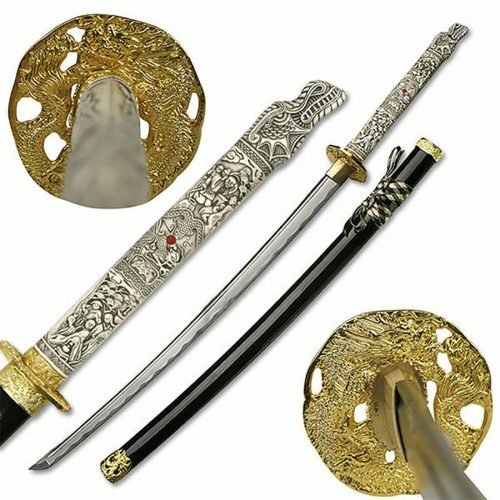 Masahiro swords are on sale at Japanese Swords 4 Samurai. 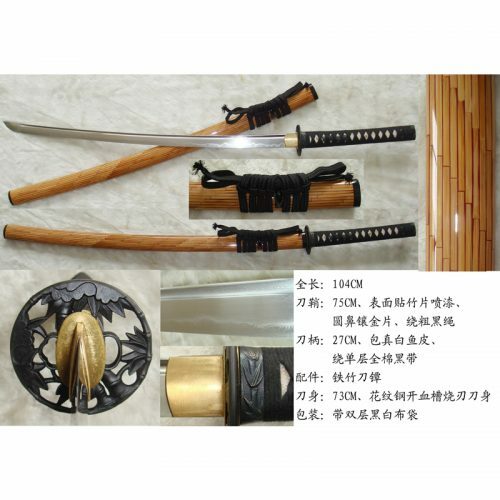 We have a wide selection of hand forged Battle ready swords for the Samurai sword enthusiast. 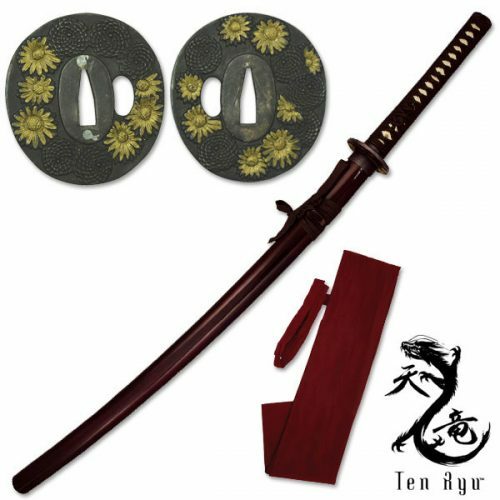 The Ten Ryu Hand Forged Samurai Sword Katana features a razor sharp hand forged full tang carbon steel blade with Bo-Hi. The double pegged tsuka is wrapped in authentic red ray skin. 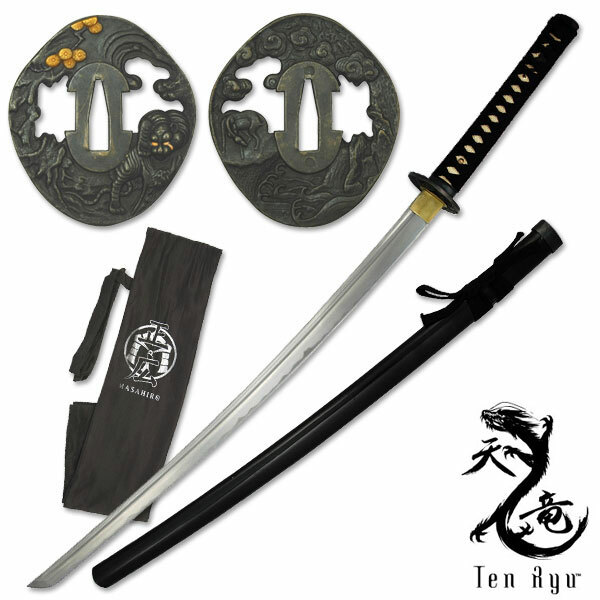 The black tsuba depicts classic Japanese dragon detailing. 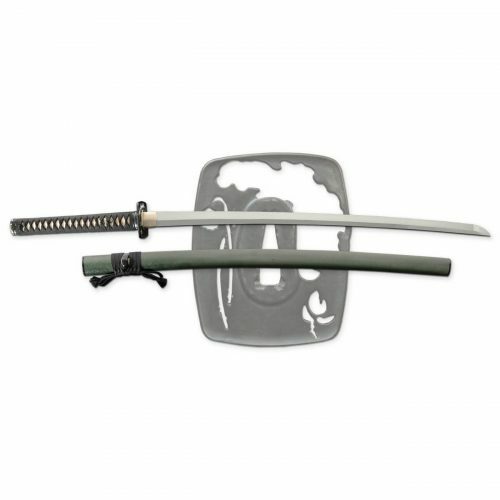 This is a fully sharpened katana and is suited for practice or display.